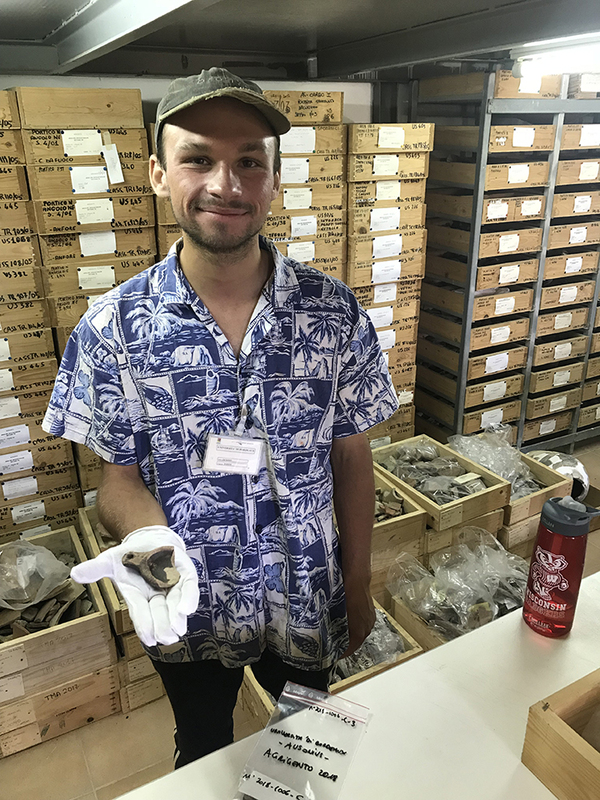 For two UW–Madison students, Italy is more than just a place with great gelato (although they say that certainly is a large part of it.) Instead, they view the country as a place brimming with possibilities for discovery and exploration. 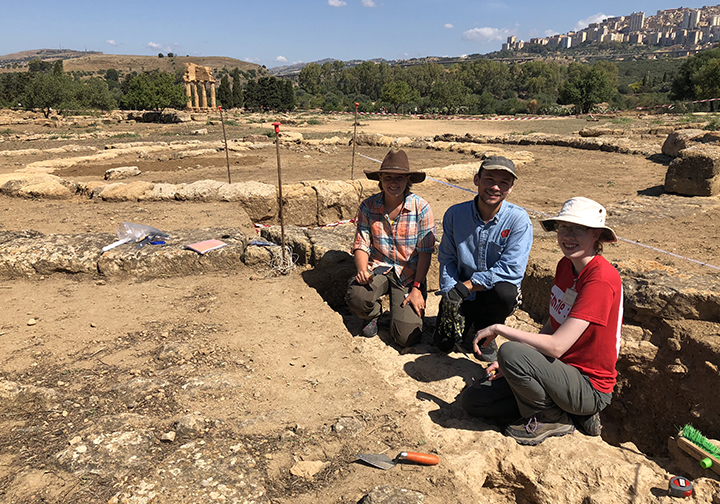 Embarking on an archaeological expedition, Jack White and Megan Bernards — two seniors in the College of Letters and Science — traveled to the ancient city of Agrigento on the south coast of Sicily this past summer. 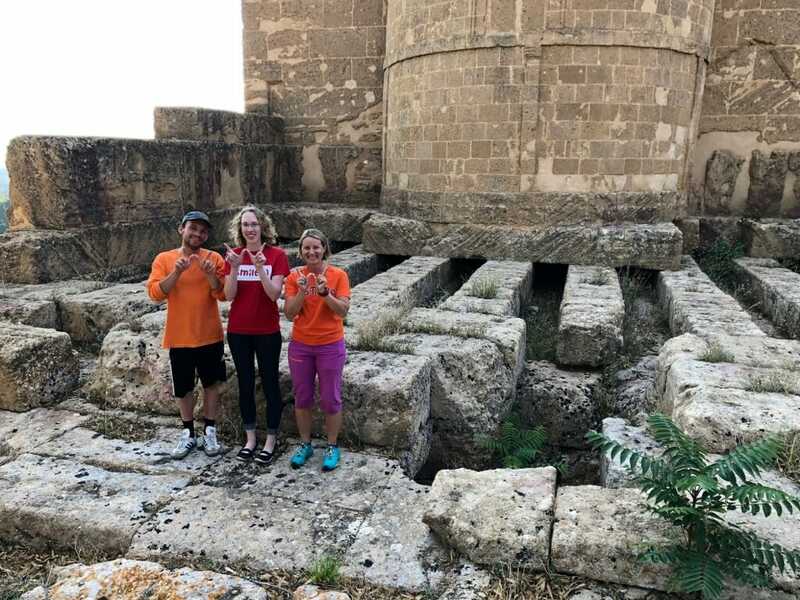 White and Bernards both won Wisconsin Hilldale Undergraduate/Faculty research fellowships for their projects in Sicily. 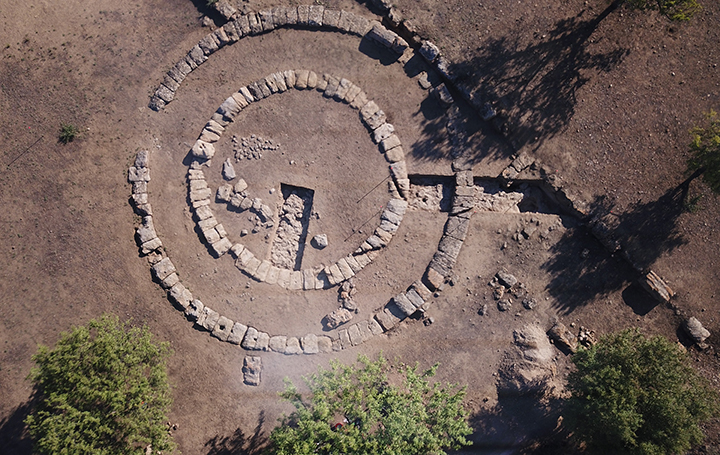 According to White, accurately dating the tholos and other artifacts served as “pieces that fit into the whole puzzle, which is the sanctuary itself.” Bernards, in particular, found a significant and rare piece of the puzzle — a bronze coin that supports new conclusions about the date of the tholos. 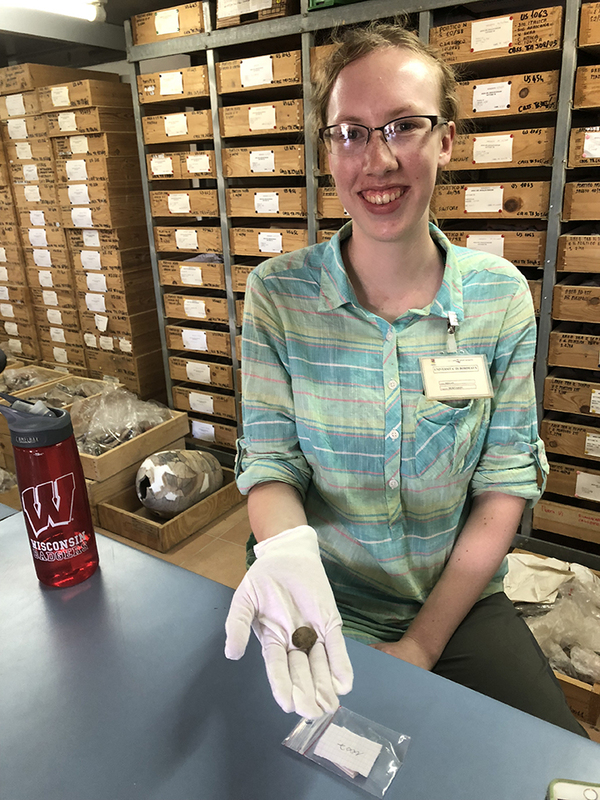 Though the coin was small, it had big implications for dating the city. White described the feeling of discovery simply: “Imagine you lost something you haven’t seen in a while and you finally find it,” he said. “It’s like that feeling.” He also contributed to mapping and spatial analysis of the sanctuary by becoming a licensed drone pilot. Although the expedition was only two weeks long, White and Bernards say they left Italy feeling like they made lifelong connections with others and ultimately contributed to a piece of history. 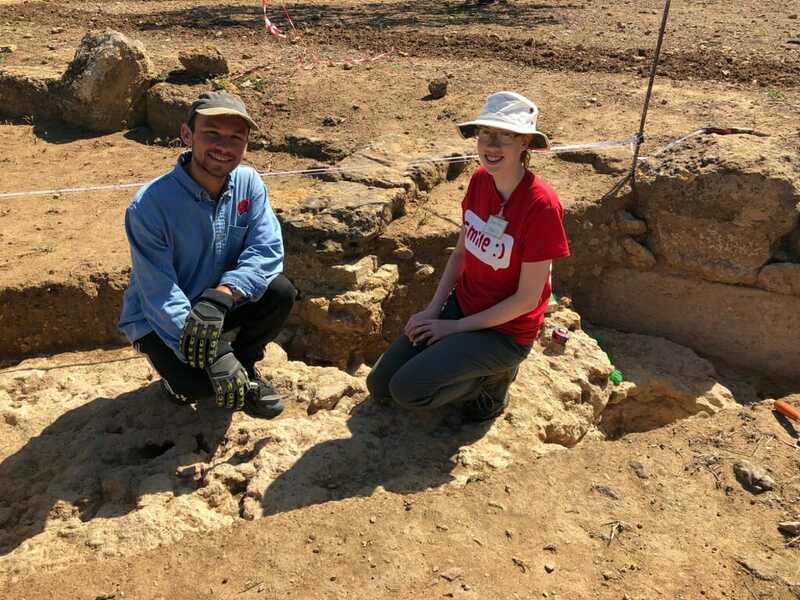 White also says their trip was about more than gaining technical archaeological skills — it was a cultural experience that helped him to break out of his comfort zone. 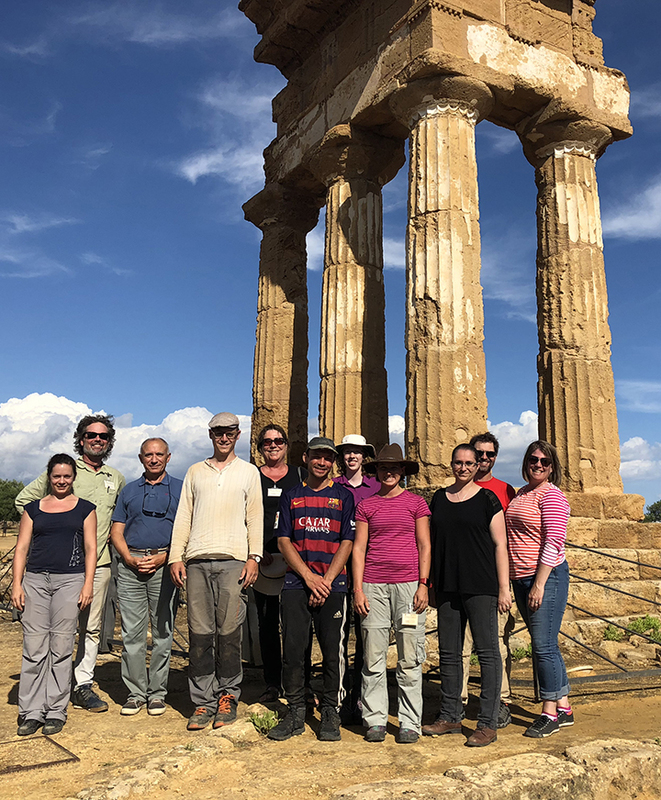 The expedition to Agrigento was conducted by the Institut Ausonius and the University of Bordeaux-Montaigne, under the auspices of the l’École française de Rome and the Parco Archeologico della Valle dei Templi di Agrigento.